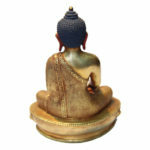 The copper and gold metallic divine Buddha statue features Buddha sitting with open eyes and crossed legs in a posture of blissful meditation. The long-eared, curled hair Buddha here wears a robe with border carved all around it. 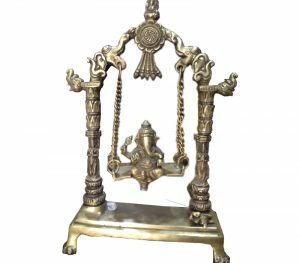 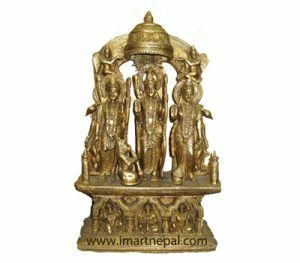 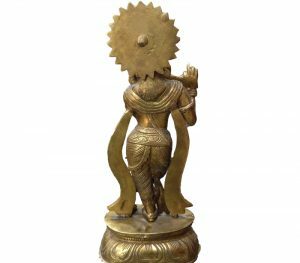 The statue sits on a metallic pedestal with intricate designs on the same. 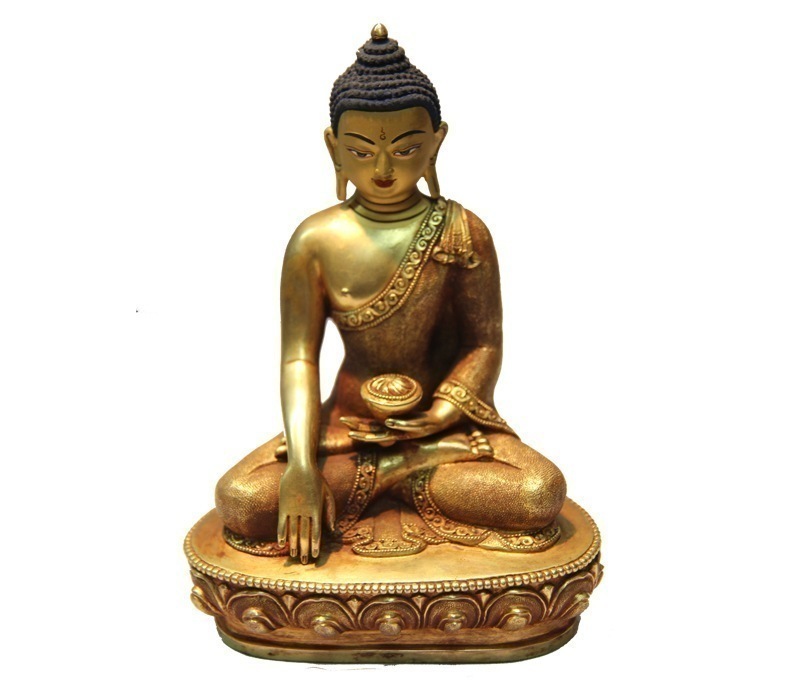 Measuring 700grams, the statue stands 8inches tall. 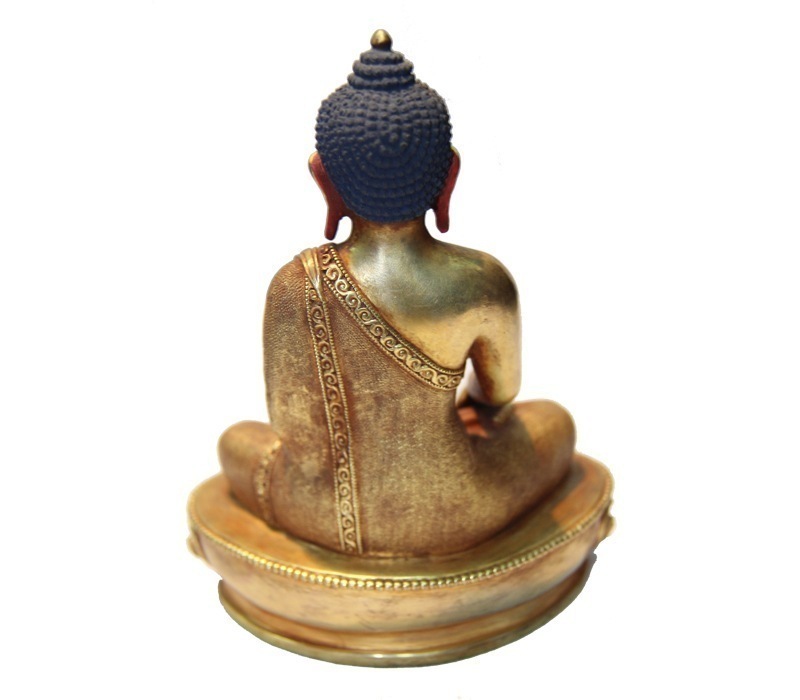 The metallic sculpture evokes the feelings of “Seek inside, the pure energy within”. 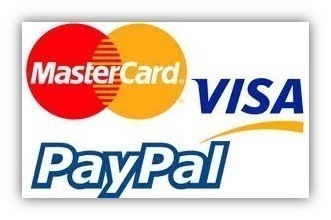 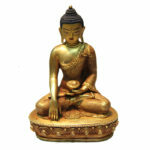 The Buddha statue is an ideal gift for those learning or interested in meditation, yoga and other spiritual endeavors.